Warner Norcross & Judd LLP is a full-service law firm. With six offices all over the state of Michigan, the law firm specializes in trusts & estates laws, technology and intellectual property, sustainability and climate group, real estate services, nonprofit organizations, litigation and dispute resolution, labor and employment, international services, health law, government affairs, family law, environmental law, business and corporate services, advertising and marketing law. The firm for its meritorious services has been included amongst the best law firms in America by the U.S. News & World Report and Best Lawyers. Q:Can the attorneys at Warner Norcross and Judd LLP help me energy law?  A:The attorneys at Warner Norcross and Judd LLP provide a number of legal services related to energy law. The firm's attorneys can help clients in Greenhouse Gas Allowances, Independent Power Contracts, Renewable Energy Financial Incentives, Energy Efficiency Contracts, Energy Legislation and Regulation Lobbying and Investments in Energy Technologies and Projects. In addition to these, the firm also provides legal assistance in Energy Optimization Plans and Biomass Energy Production. Q:In what areas of mergers and acquisitions can Warner Norcross and Judd law firm help their clients with? A:The Warner Norcross and Judd law firm provide extensive services in mergers and acquisitions. Some of the areas the firm assists clients with are pre-acquisition confidentiality agreements, tax planning strategies, estate planning, negotiation of transactions, advising board of directors, obtaining government approvals and closing transactions. The above mentioned are just some of the areas in mergers & acquisitions the firm provides services in. Q:What industries does Warner Norcross Judd specifically provide legal services to? A:With a comprehensive area of practice, Warner Norcross Judd has provided legal services to a number of industries. The industries the firm has provided services to are automotive, construction, mining, oil and gas, higher education, financial services, life sciences, real estate development and concierge medicine. The firm has assisted these industries in advertising and marketing law, international services, labor and employment, environmental law and real estate services. Q:How can the Warner law firm help me construction law? A:The Warner law firm provides a number of services pertaining to construction law. The firm's attorneys provide legal services in contract development, negotiations, administration, construction claims, collective bargaining, environmental issues, property damage, litigation and dispute resolution. In addition to these, the firm also provides services ranging from insurance claims to lost productivity issues. The Warner law firm has extensive experience in this area of law and has been a part of a number of prominent cases.